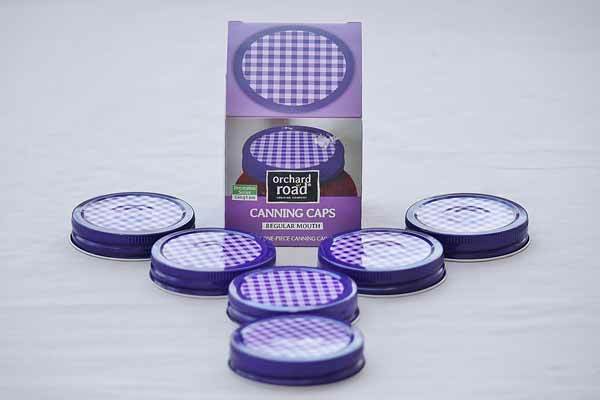 6 classic purple gingham jar lids for capping regular mouth jars. These jar lids are fun and decorative, perfect for jams and jellies. Give your preserves an old fashioned, homely feel with these decorative jar lids. One piece canning jar lid. Made in the USA!